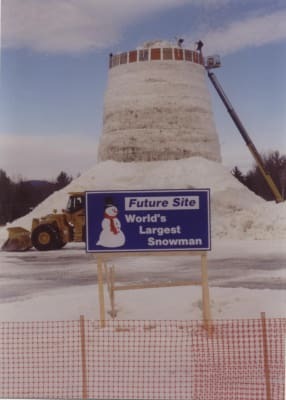 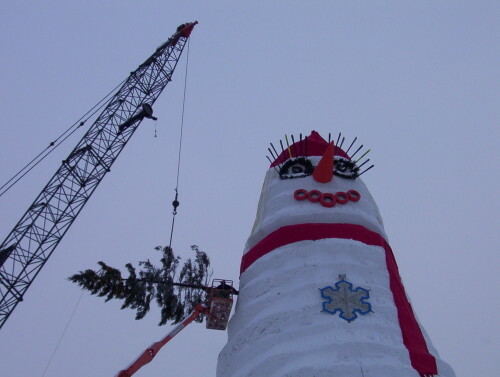 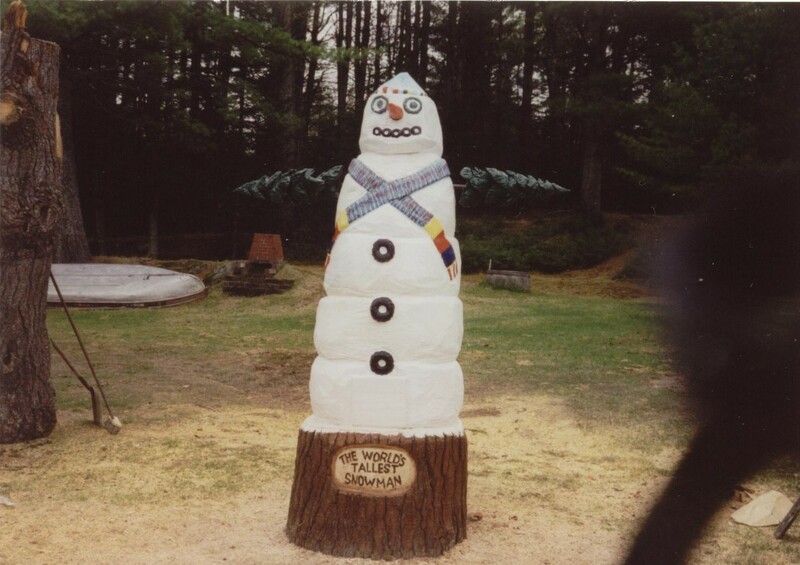 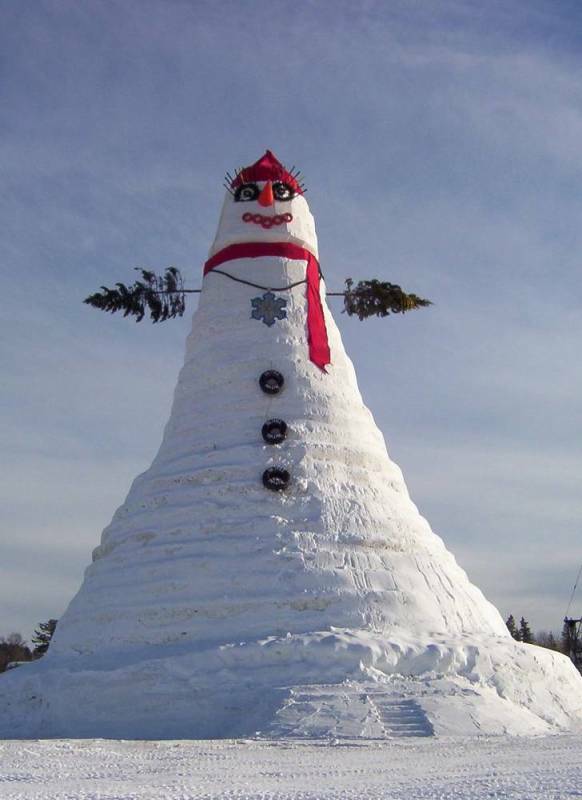 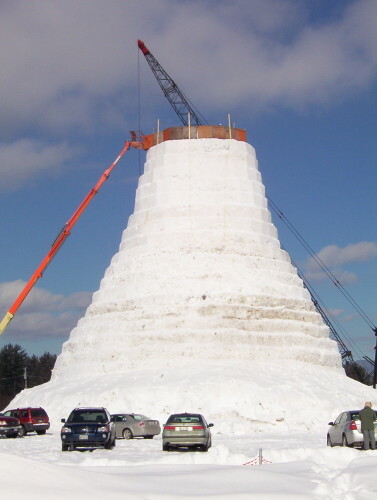 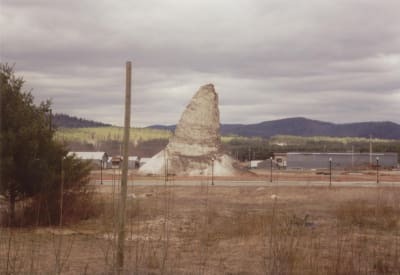 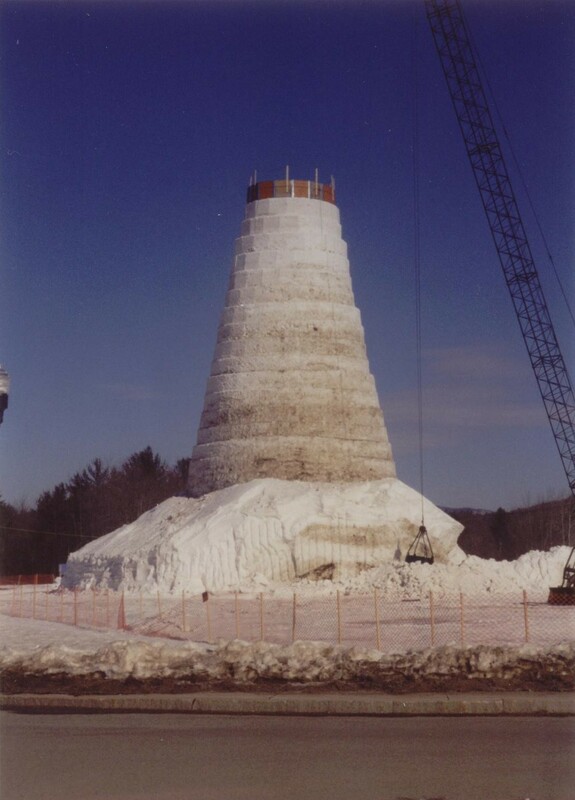 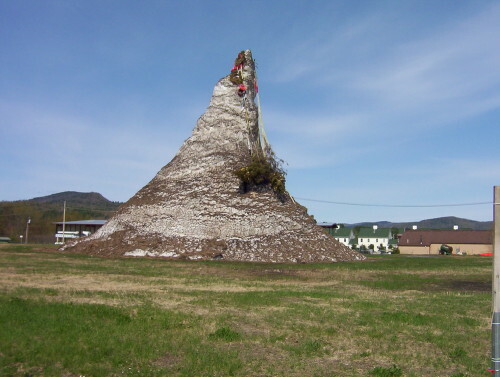 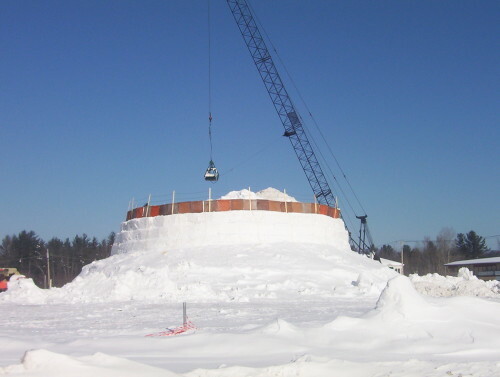 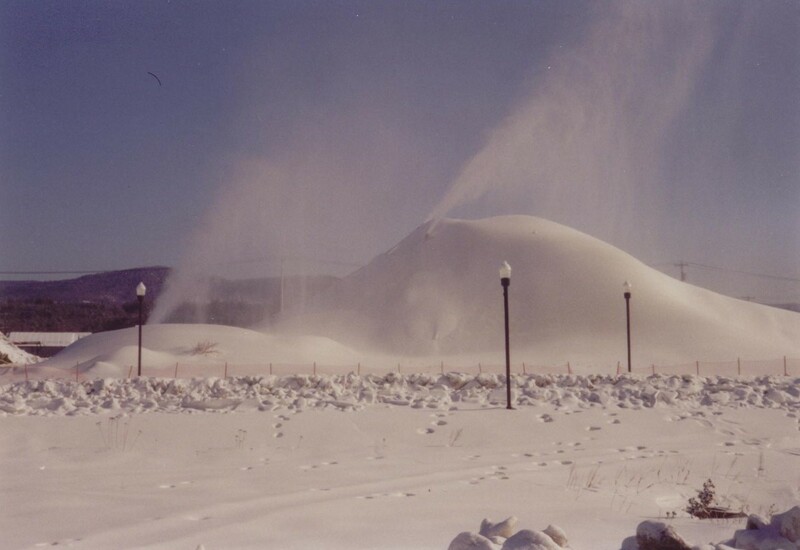 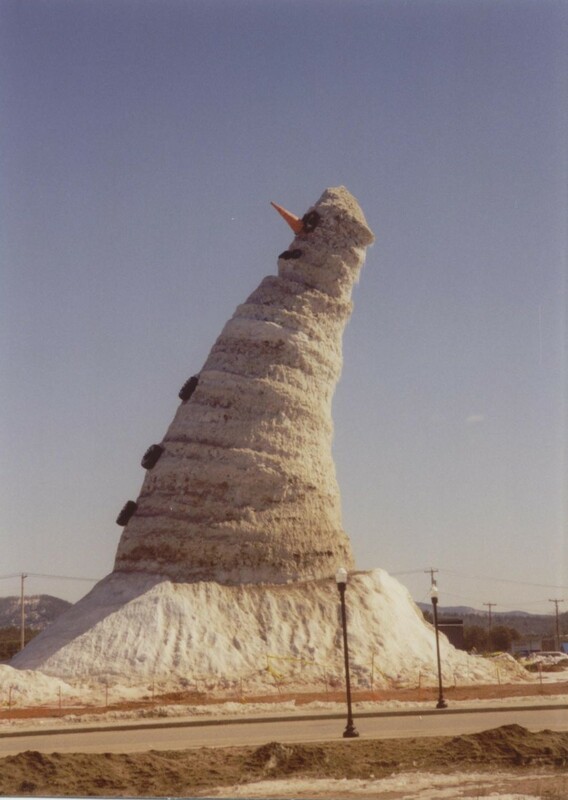 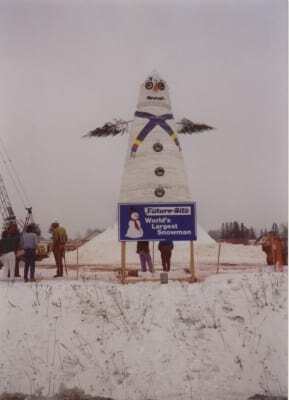 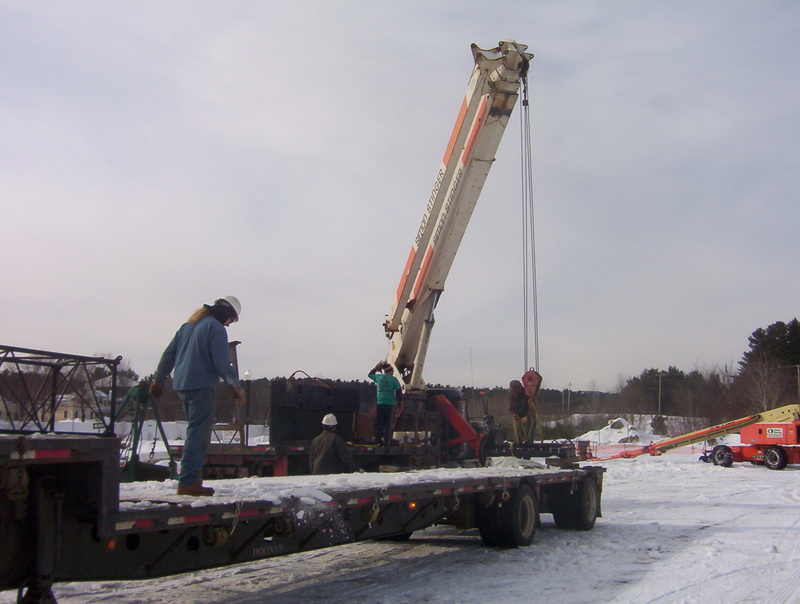 Bethel, Maine was the home of the World's Tallest Snowman in 1999 - and then we beat our own record in 2008 with the World's Tallest Snowwoman! 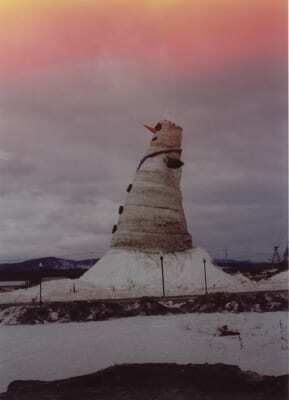 (They melted, of course!) 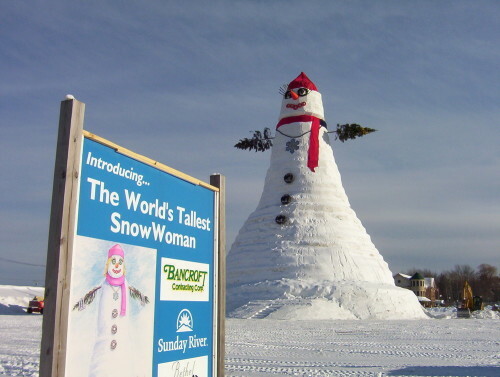 To put these giants into perspective -- Angus, King of the Mountain was about 10 stories tall; Olympia SnowWoman was about 11 stories tall! 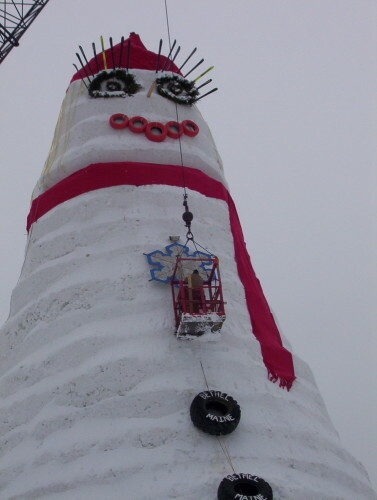 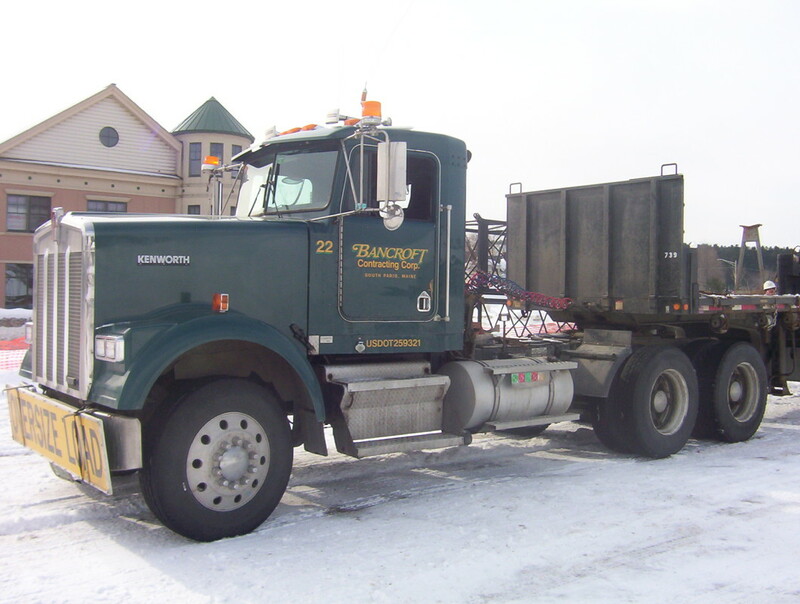 Their mouths were car tires, buttons were skidder tires, their arms were 25' spruce trees, and their hats were 16' and 20' diameter fabric made by middle school students. 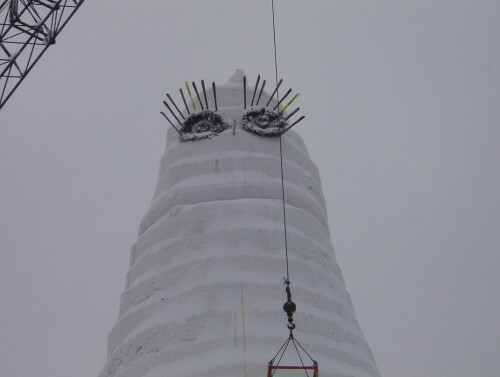 Olympia's eyelashes were alpine skis -- and just to die for!